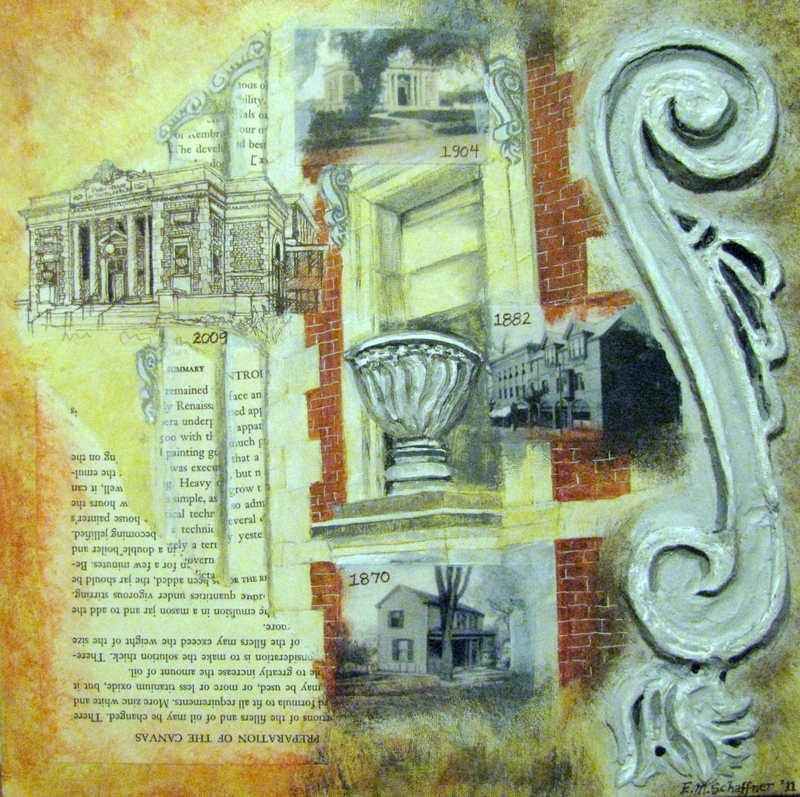 This 12" x 12" mixed media work depicts the history and architectural features of the Milton, MA Public Library. Collage and acrylic paint combines with modeling clay to recreates 3-D moldings in the style of the library molding. The work is created on a canvas panel block with oak stained wood sides.